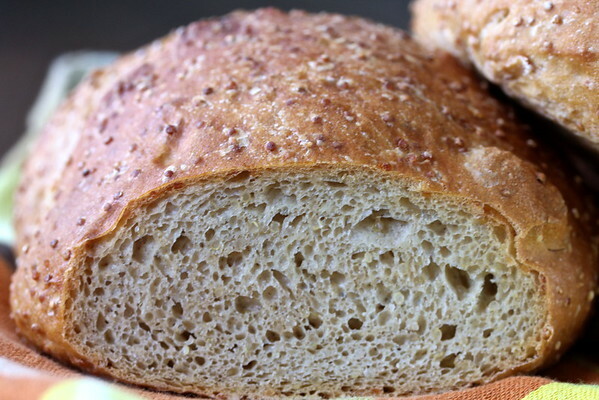 This Quinoa Bread really surprised me. I'm not at all experienced with this grain and was a bit skeptical because it has been kind of a fad. When the #BreadBakers group decided to use quinoa as a theme this month, I finally broke down and bought a bag of the stuff. Guess what? This bread was great! The nutty flavor of the quinoa, combined with the mild white whole wheat, was earthy and delicious. It makes excellent toast. 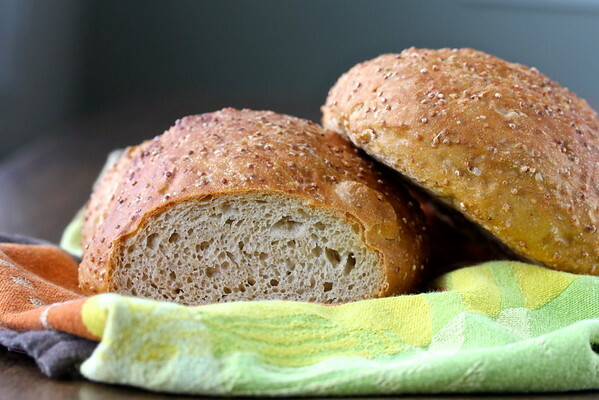 This bread is amazingly easy to make. The recipe makes four one pound loaves. You mix all of the ingredients, let the dough rise, and then refrigerate it. You then have 10 days to whip off a one pound piece of the dough and bake up a loaf of bread. How easy, right? Quinoa (I think it's pronounced Keen Wah) is supposed to be a super food, and very high in protein and calcium. It's an ancient grain, originally from the South American Andes, and very high in fiber. It comes in multiple colors too! I used whole white quinoa, but you can get it in red or black. You can also get flaked and puffed quinoa. Makes 4 one pound loaves. The dough can be make in advance, and then refrigerated up to 10 days. Whisk the dry ingredients together in a large (at least 5 quart) bowl or dough rising bucket. Add the water and mix with a dough whisk, by hand, or a large wooden spoon. Cover, and let the dough rise at room temperature for 2 hours. Place the dough in the refrigerator for at least 24 hours, and up to 10 days. When you are ready to bake, cut off a 1 pound loaf (1/4 of the dough), and shape it into a ball on a floured work surface. Place the dough, seam side down, onto a small piece of parchment paper. Lift the dough, parchment and all, into a soup bowl. Cover with plastic wrap. Let rise for about 90 minutes. Place a Dutch oven in your oven and preheat it to 450 degrees F.
When the dough is ready, bring the Dutch oven out of the oven, uncover, and lift the dough, parchment and all, into the Dutch oven. Slash the dough, cover, and place back into the oven. Bake for 15 minutes, uncover, and bake for another 10 to 20 more minutes. 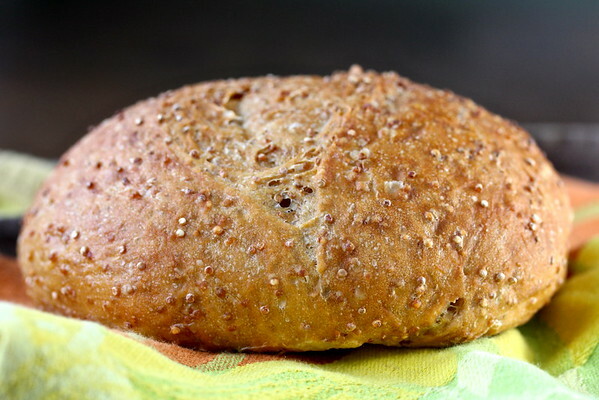 The bread should reach an internal temperature of about 200 degrees F.
This recipe has been slightly adapted from Healthy Bread in Five Minutes a Day: 100 New Recipes Featuring Whole Grains, Fruits, Vegetables, and Gluten-Free Ingredients. How is the monthly theme determined? We take turns hosting each month and choosing the theme/ingredient. Would you like to join in the fun? If you are a food blogger, send an email with your blog name and url to Stacy at foodlustpeoplelove@gmail.com. And your bread looks amazing as usual. I can't wait to try it!! I love your blog Christie. I'll have to check out the quinoa recipes! What pretty little loaves, Karen! They'd make a lovely hostess gift all wrapped up with a ribbon. Oh wow that's an easy bread to make. I am so putting it on my list (plus I've been looking for a bread recipe where it is baked in a Dutch oven. Your quinoa loaves looks great, Karen!. I bet they were delicious. 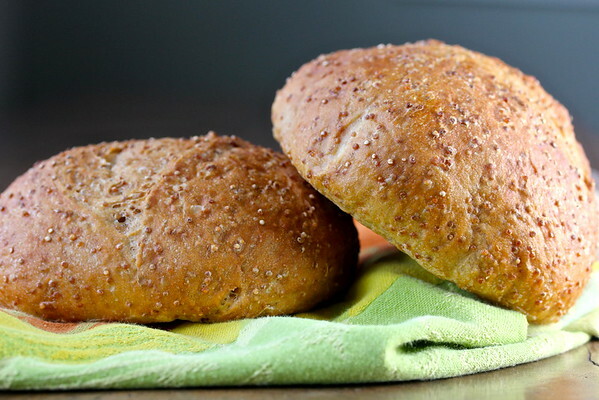 The healthy bread in five minutes is a very convenient method. I need to try some of their new recipes. Thanks Cathy! I think the long rest in the fridge probably helps develop more flavor than the standard no knead bread. I like that by using the quinoa as an add in you can have it pair with the regular taste of the bread. I think it is a great idea to make a big batch of dough and keep it in the fridge for over a week, that way you can keep having fresh bread! the first time I baked a quinoa bread which was about 2 years ago I thought it had such a soft texture - I used cooked quinoa in the dough. I am so happy you liked it. Here quinoa is very popular and I think has gone beyond fad. The health benefits are also wonderful. My mom is diabetic and eats it every day as she can't have rice and with its low glycemic index, is great substitute. This bread looks perfect for spreading on some nice butter and jam!! I had no idea you could get different quinoa, I could only find white in my local store. Lovely looking bread Karen, I always love your breads and you know already that I bake your breads to , they are delicious , I like the big round ones actually but your breads are all nice looking And thank you for stopping by and leaving that lovely comment. You had me at no Knead!! Woohoo! How wonderful to have the dough sitting and just bake a bread whenever we like! And a beautiful bread at that! nice crumb, beautiful loaf of bread! In a week we will have guests in our home, and I need to get some bread into our schedule... your post is definitely pointing me in the right direction! No knead works for me! Gorgeous bread! 'Tis a glorious bread to behold, Karen. Baking with quinoa definitely threw me for a loop but you hit it out of the park. Love Healthy Bread in 5. 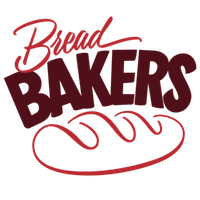 Can't argue with always having a fresh baked loaf of bread just minutes away. Thank you my friend. I'm a bit off kilter about next month's theme.... Help!